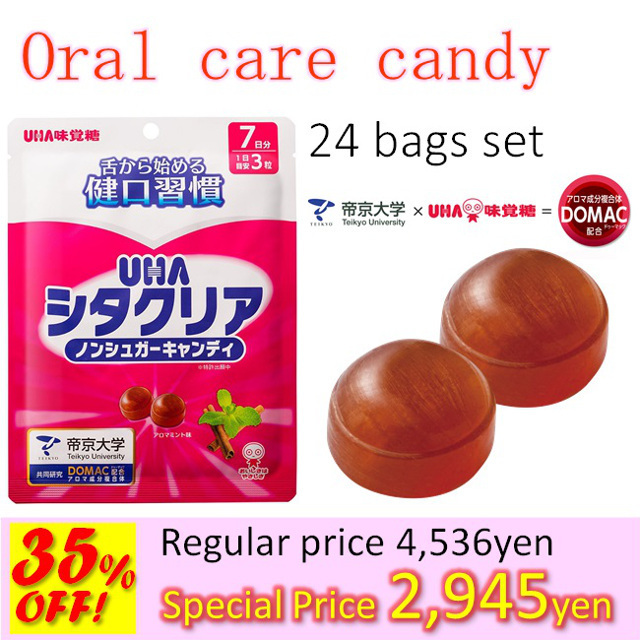 Oral care candy by anti-Bacteria technology. Film of entangled various Bacteria cover on the tongue in case cleaning is not enough. If you feel stickiness in your mouth, it might be a warning! 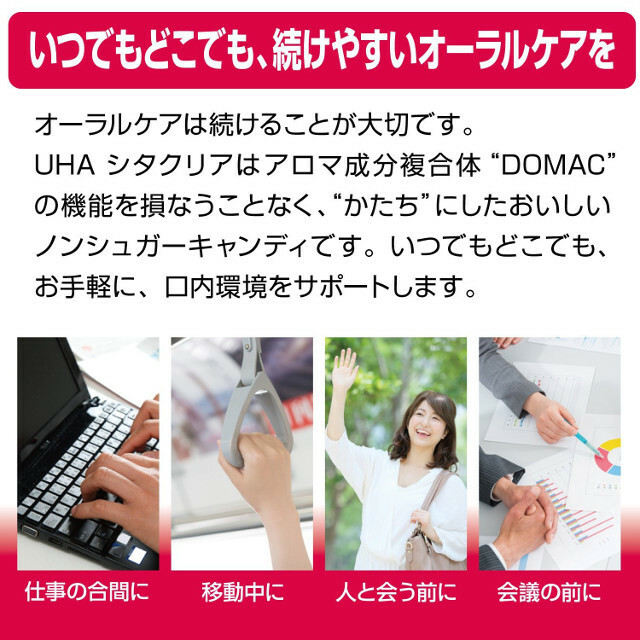 “DOMAC” developed by UHA Mikakoto Co.,ltd and Teikyo University, is an Aroma Complex. 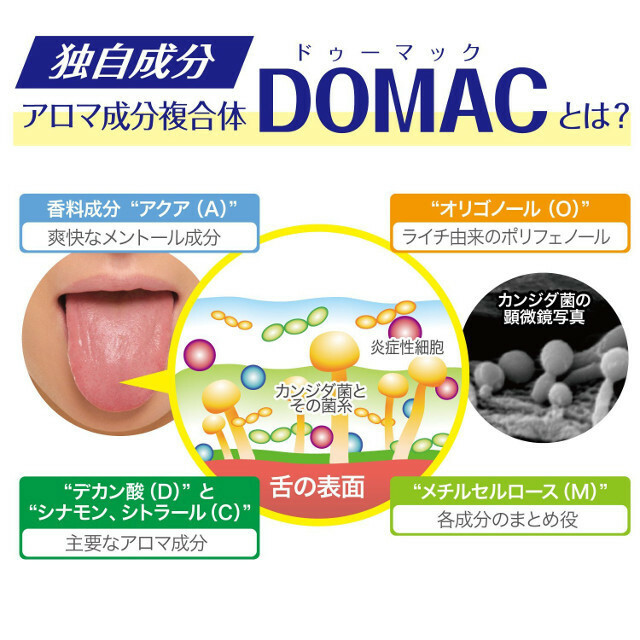 Shitaclear contains this newly developed DOMAC to maintain the oral environment. 1 bite when you feel bad breath/stickiness or need refreshment! Handy small package, always with you! ※Selling Agency; UHA Mikakuto Co., Ltd.